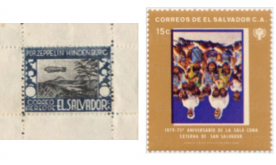 El Salvador has the dubious distinction of being one of the countries less covered by philatelic literature. To remedy this situation, a group of philatelists specialized in El Salvador joined efforts some years ago to draft the first Philatelic Handbook of El Salvador. 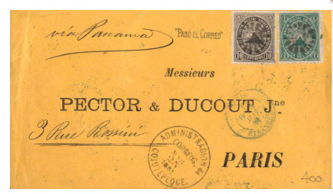 The first two stages of the Handbook will cover the postal history of the country from the Colonial era to the year 1900, and it will include prephilately, stamp issues and stationery. The first part, covering the prephilatelic period, was recently published by the Collectors Club of Chicago (http://www.collectorsclubchicago.org/el-salvador.php). 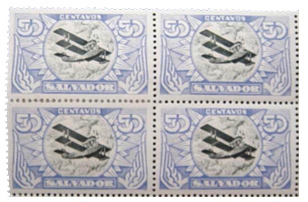 A parallel long-term project is the creation of a Specialized Catalogue of El Salvador, which would list all issues, varieties, and proofs for both stamps and stationery, in contrast to the Handbook which would provide a deeper understanding of the reasons for the issues and would cover the postal history aspects. In order to achieve the most comprehensive work possible, we would appreciate feedback from any member or philatelist whose collecting interests include El Salvador. Comments, additions, or corrections can be sent to ggallegos@elsalvadorphilately.org . Every information or image provided will be acknowledged in the Handbook. We thank you in advance for any help you can give! Your help is important to finish this work we all have been waiting for during the last 35 years!